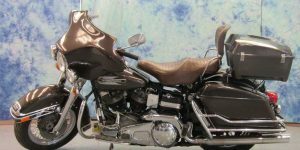 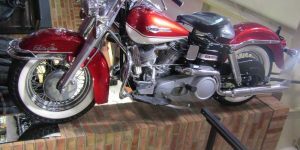 This was a landmark year for new features on the first Electra-Glide Big Twin Pan-head model. 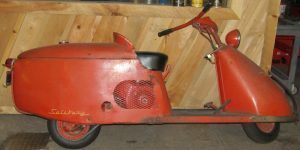 The electrical was upgraded to a 12-volt system to spin the new Delco electric starter motor for which the model was named. 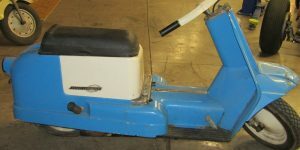 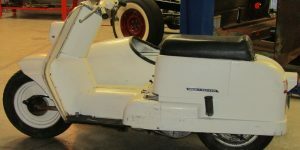 The rear section of the frame behind the seat post was heightened to accept a new square oil tank and taller 12-volt battery. 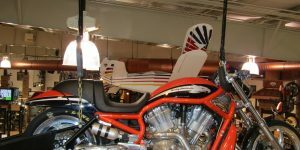 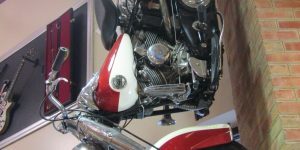 The tin primary chain cover set was dropped in favor of stronger aluminum inner and outer covers with a beefed up transmission case to mount the transmission and engine solidly together. 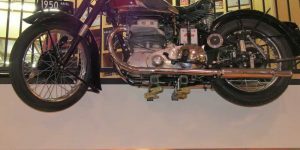 A new primary chain adjuster was put inside the primary chain case and used a hard plastic shoe to tension the front chain. 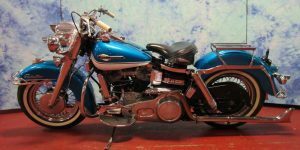 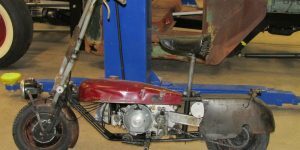 The factory had trouble with the electric starter system when first introduced on their 1964 servi-car models, so it’s possible the kick starter was retained on the Electra-Glide for a few years just in case. 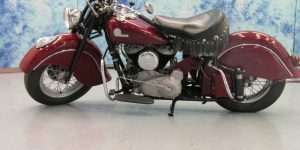 An M-74B Linkert carburetor was retained from 1964 using the early style stamped steel round air cleaner. 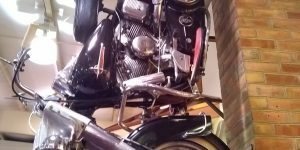 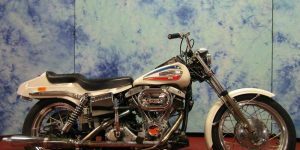 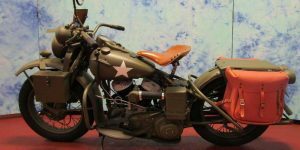 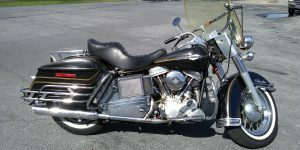 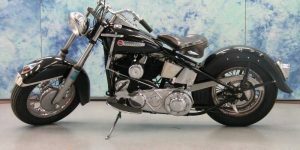 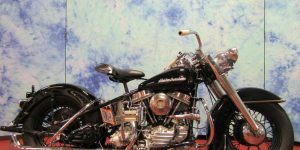 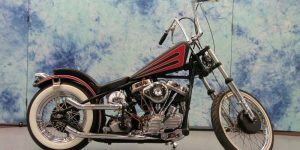 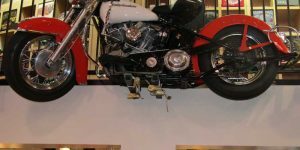 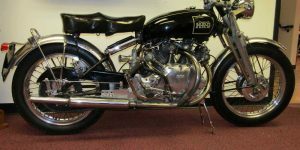 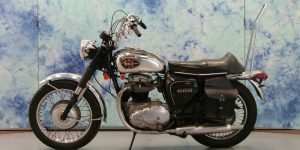 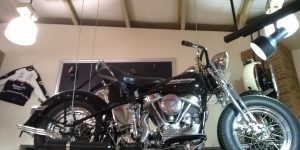 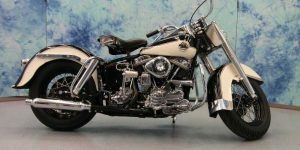 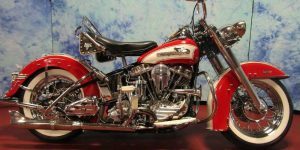 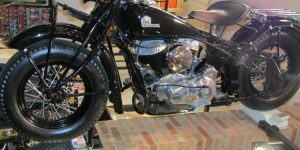 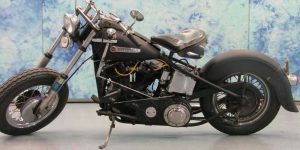 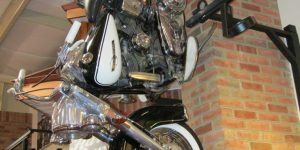 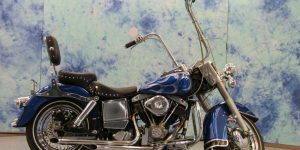 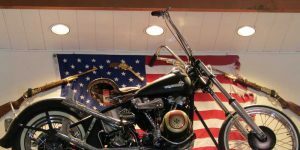 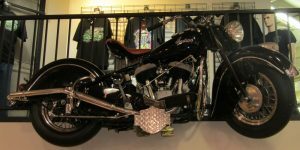 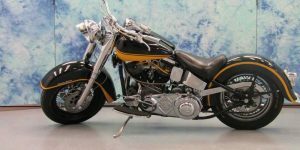 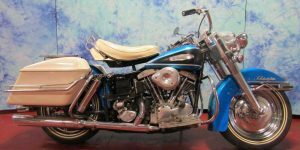 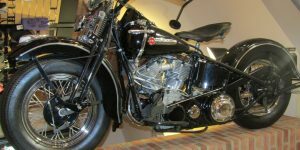 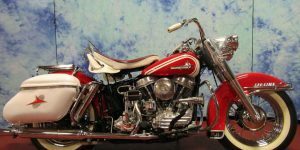 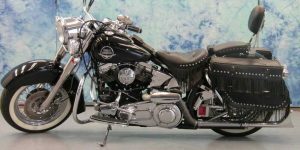 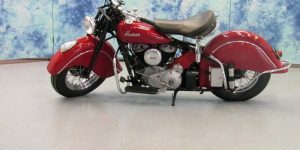 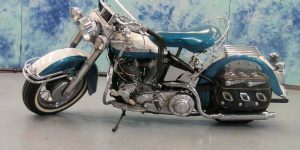 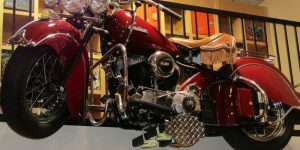 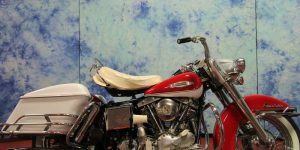 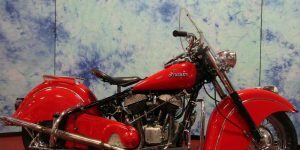 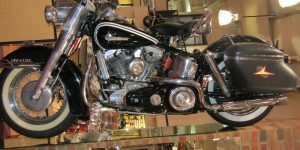 The Linkert can trace it’s reliable service on a Harley-Davidson twin back to it’s introduction in 1933.